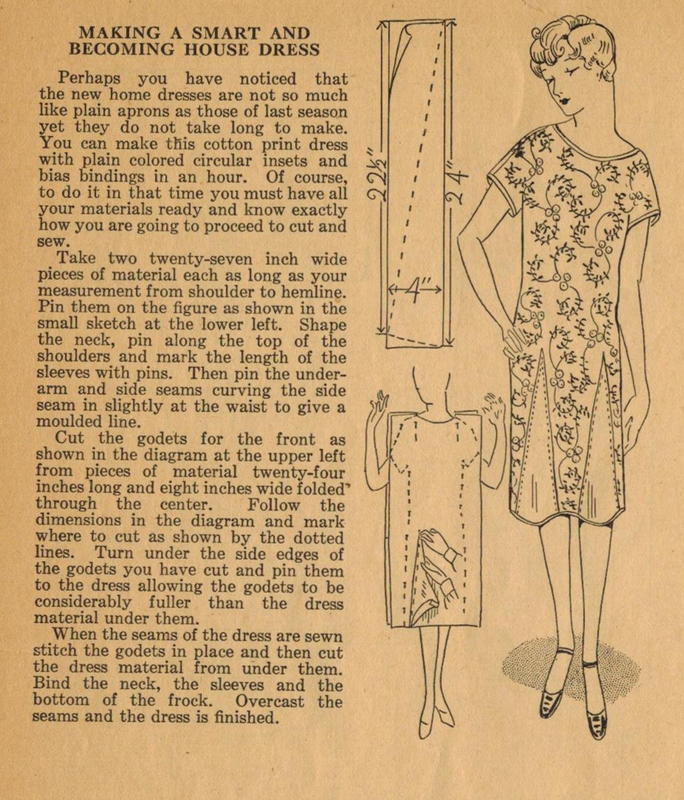 The Midvale Cottage Post: Home Sewing Tips from the 1920s - Making a Smart and Becoming House Dress Without a Pattern - in an Hour! Home Sewing Tips from the 1920s - Making a Smart and Becoming House Dress Without a Pattern - in an Hour! Be amazed! In this tip from Ruth Wyeth Spears for her 1920s audience, she provides instructions for making the simplest dress ever, without a pattern! She describes not only how to fit the fabric to your shape, but also how to add godets to add flare. It need only take an hour, she says!